'FATAL FURY SPECIAL' is a powered-up version of 'FATAL FURY 2' which brings a faster game speed, introduces combo attacks for the first time in the Series, and welcomes more returning characters for a total of 15 fighters. 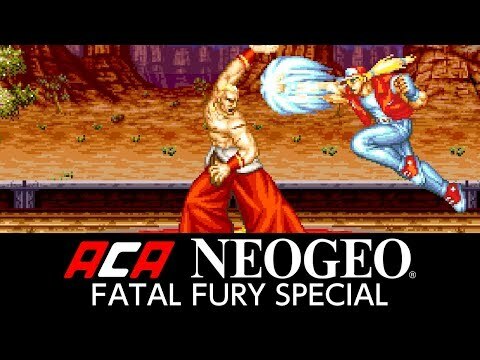 ‘FATAL FURY SPECIAL' is a fighting game released by SNK in 1993. Clear the game with specific conditions and Ryo Sakazaki from 'ART OF FIGHTING' will appear.